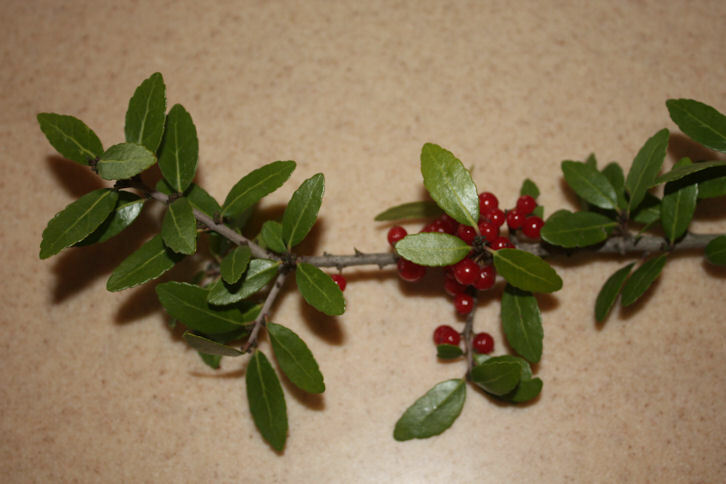 Yaupon Holly (Ilex Vomitoria) grows in the southeastern United States, north to Virginia and west to Texas. 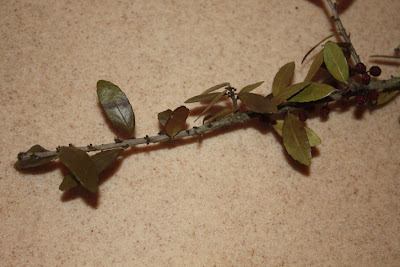 It is in the Holly family and is often planted as an ornamental tree, even though it grows wild. 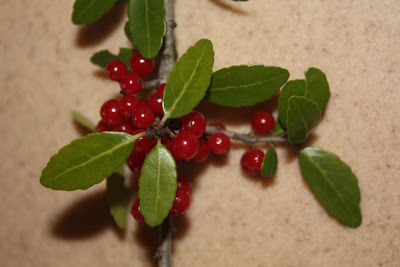 Yaupon Holly (Ilex Vomitoria) makes great tea. No, I didn't say American Holly, which is much better known for making a great tea. American Holly does not have caffeine at all, however, it goes back to the early American Colonists and was used extensively in the eastern U.S. It was especially popular in the south during the civil war when supplies were cut off from the north. Matter of fact, American Holly tea was recorded as being drank right down the road from us in Alabama's first capital Old Cahawba. As popular and historical as American Holly is, Yaupon Holly goes back even further than that and was used extensively by the early Native Americans, particularly in the southeast, oftentimes during purification rituals. And Yaupon has a lot of caffeine, just as much if not more than coffee. 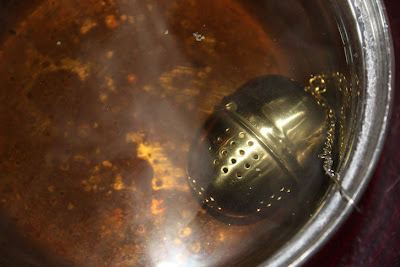 Matter of fact, it is said that it has more caffeine than any other plant in North American and after drinking a couple of glasses of this delicious tea, I believe it. Not only does it contain the caffeine, but it also contains theobromine which is another stimulant that is found in chocolate and some types of tea leaves as well. Yaupon after air drying for a couple of months. Because of the high caffeine content, one must be careful not to drink too much. One expert told me six small leaves per cup. That is probably about right, although I used 6 large leaves per cup which tasted good, but may have had a little too much caffeine. The Native Americans would use it for purification ceremonies and to test their manhood, so to speak. 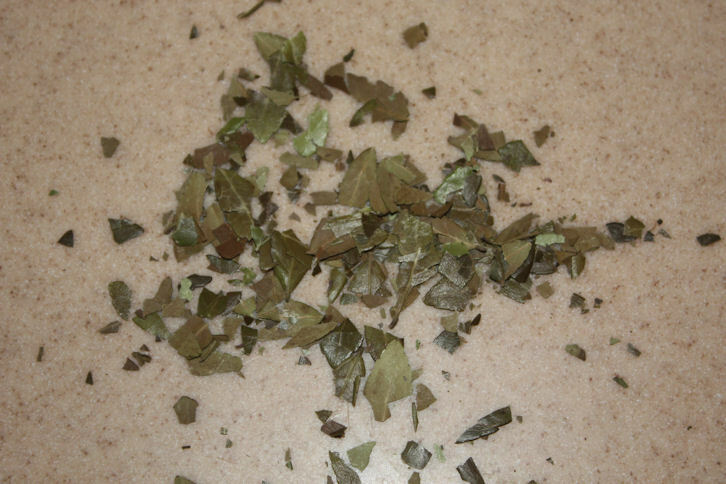 They would fast for days and then make a very thick and rich concoction with the leaves and drink it. Eventually they would throw up (hence the Vomitoria part of Ilex Vomitoria). The man left standing without throwing up, well, was the man. Now, because of the "vomitoria" history of the plant, some people are a little gun shy and will tell you that you must air dry the leaves until brittle and then roast the leaves or you might experience the vomiting sensation, but keep in mind that the Native Americans fasted for days and did not eat anything, and then they made a very "thick" brew. Personally, I just air dried the leaves for a couple of months and then boiled them for five minutes, then poured the tea in a pitcher and boiled them again for another five minutes. I had absolutely no bad feelings at all, only a slight caffeine buzz after a couple of glasses. The tea was delicious. 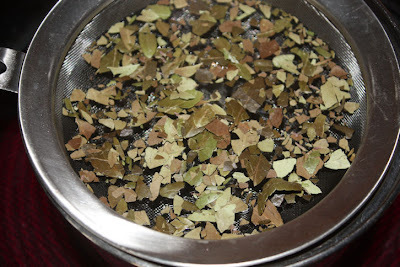 I have since found out that roasting half of the leaves and air drying the other half would have given a different, maybe even better taste, but to me, it tasted better than tea you buy in the store, which leads one to wonder, "Why did people get away from Yaupon Tea to begin with?". Maybe coffee replaced it, or maybe the "Vomitoria" part scared people away, but either way as the old saying goes "your loss is my gain". I like this tea so much that I want to plant a Yaupon Holly in my yard and incorporate it into my life style. Not only is it good, it is full of Vitamin A, Vitamin C and packed with antioxidants. Did you have success in planting a yaupon holly that produces caffeine? I'm very interesting in doing that, and would appreciate some tips. For example, how can you make sure you're getting a "native" yaupon holly? I have not tried planting Yaupon. 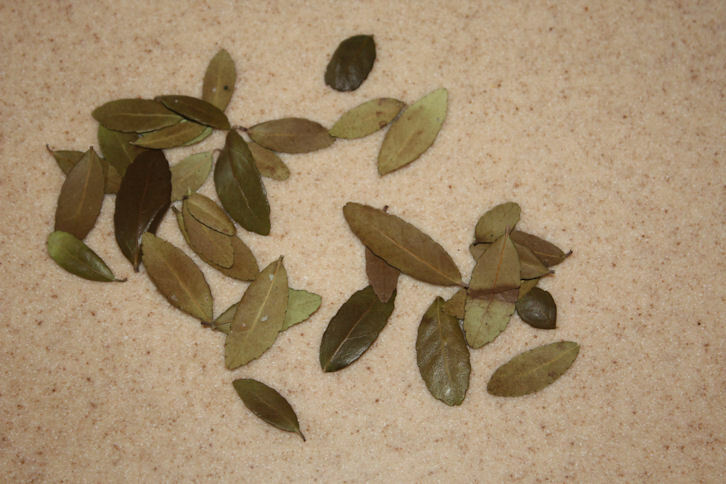 Most of the Yaupon I have sampled has come from the wild. However, I believe that all of the cultivars including the wild version have the caffein. I could be wrong about that. I would like a weeping Yaupon myself. I picked some berries from a cultivar weeping yaupon last week and was curious myself whether or not if the seeds were planted, it would actually come out a weeping yaupon or go back to the original variety.